Don’t miss the spectacular finale of the Man Engine Cymru tour in Swansea. Man Engine, the largest mechanical puppet ever constructed in Britain, is set to visit Wales for the very first time this year. Resembling a giant miner, the moving, steaming, mechanical Man Engine will end its tour of south Wales’s most important industrial heritage locations in Swansea on Thursday 12 April. Animated by a team of more than a dozen ‘miners’, the giant puppet will present copper ore for smelting to John Henry Vivian at the Hafod-Morfa Copperworks in a dramatic after-dark fire and light show. This magnificent show at the Hafod-Morfa Copperworks begins at 6.30pm on Thursday 12 April, and tickets start at just £4.00. Join in the chorus to wake Man Engine from his slumber and begin the story. Packed full of nostalgic displays, Man Engine collects the copper ore from Captain David Morgan, one of Swansea’s legendary Cape Horners. Man Engine arrives at the works to hand the copper ore to John Henry Vivian for smelting in a spectacular after-dark fire and light show that you really don’t want to miss. Admission to the finale at the Copperworks is by ticket only. Note: there is no seating at the evening event, but deckchairs are permitted. Booking: Adults £5.00, Children £4, Family Ticket (2 Adults & 2 Concessions) £15. 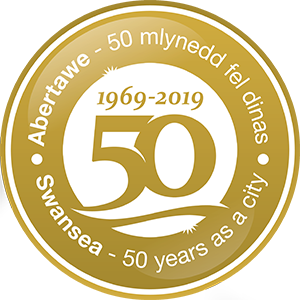 Parking is available for the after-dark evening finale at the Hafod-Morfa Copperworks at Landore Park & Ride, The Liberty Stadium and the land adjacent to The Tennis Centre. All car parks are pay on arrival. *Where possible and to minimise disruption, roads will be closed on a rolling basis, timings are approximate and subject to slight change. You can find out more about the people and places from our industrial past, which inspired the Man Engine Cymru story, by exploring the fascinating displays at the National Waterfront Museum and Swansea Museum, or following the heritage trail at Hafod-Morfa Copperworks.